Oh, my dears, I have so much to catch you up on. So very much. Nothing overly exciting, but just a lot of little things. Bullet point recaps! Alex had his wisdom teeth out Monday. It took 20 minutes, local numbing only, and he was back to talking 4 hours later, no swelling, Aleve only. I had 3 impacted teeth, got dry sockets in all of them, and was swollen to chipmunk status, unable to take steroids or NSAIDS. I must destroy him. I HAD PT YESTERDAY!! I love my physios. Love them. I feel more at home there than I do most places. I walked in and my PT Missy and Janae (an assistant) yelled “Susie!” and gave me the biggest hug. It was like coming home. I wish I hadn’t had to go back, but I am also so glad to return. On the subject of PT, Missy confirmed my suspicions–I do indeed have a minor hamstring strain, but it is the result of my glutes not firing the day of the run and the absolute tightness in my left glue, calf, and my right navicular. She worked to release my glute and HOLY F-ING BALLS. I have a very, very high threshold for pain, and I couldn’t stand it. But you know what? I walked NORMALLY the rest of the day. Like it didn’t hurt at all. Today, though, it is another story (holy balls my glute). We came up with a plan for healing my issues, and I will go over it on Saturday during The Long Run. Still obsessed with The Borgias. More to chat about, but I wanna talk FOOOOOOD!!!! Thanks, Jenn! I definitely continue to get my veggies in! Alex had a basketball game up in Gold Coast on Sunday, and I chose to accompany him and get dinner after. I had scoped out Doc B’s Fresh Kitchen, but when push came to shove, we were ravenous and desperate. Luckily, a truly delicious option presented itself. 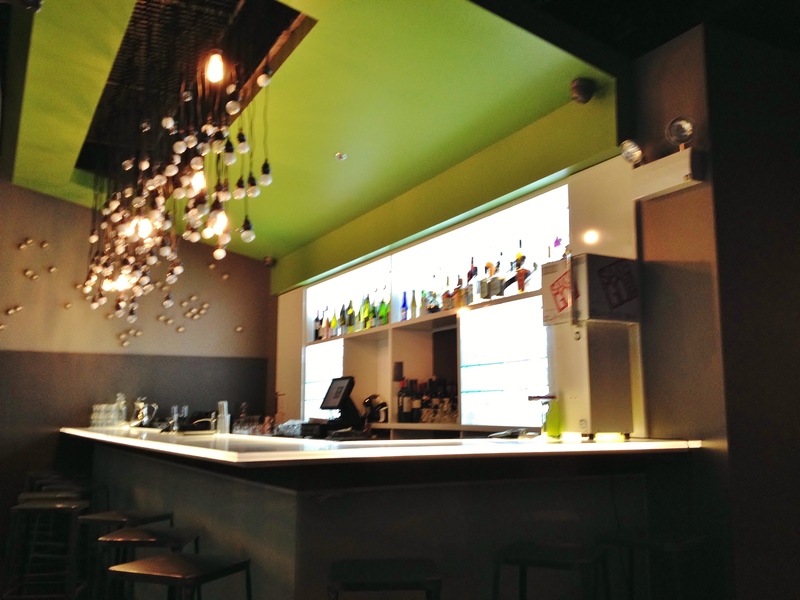 Vora is a Taiwanese Dim Sum and Sushi restaurant that opened last year (I believe). The tag line is Simple. Healthy. Delicious. And based on what we sampled, it truly lives up to its motto! The space is super modern/organic, sleek, but approachable. I really loved the aesthetic. I was cold (surprise!) and craving soup but I am also a sucker for tuna poke. I was debating between one o fthe seafood soups or the tuna, but pictures that I saw online of the poke sold me. So glad that I did a little research. I knew Alex would be hungrier than mere sushi would be able to satisfy, so in doing my research, I discovered a few of the dishes that Vora is known for. 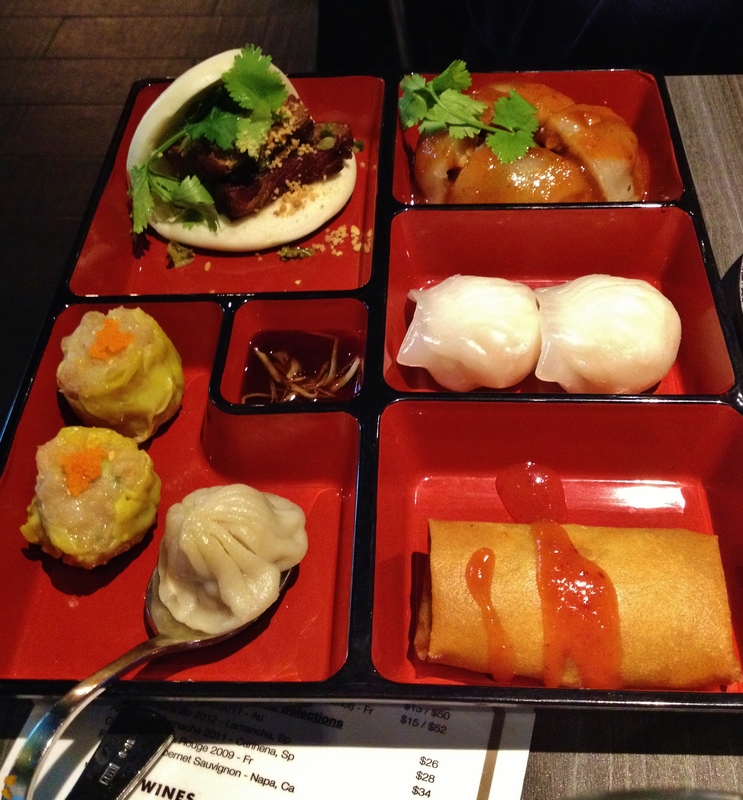 I know very little about Taiwanese dim sum (the owners are Taiwanese), but Vora offers a great option: a dim sum bento sampler. 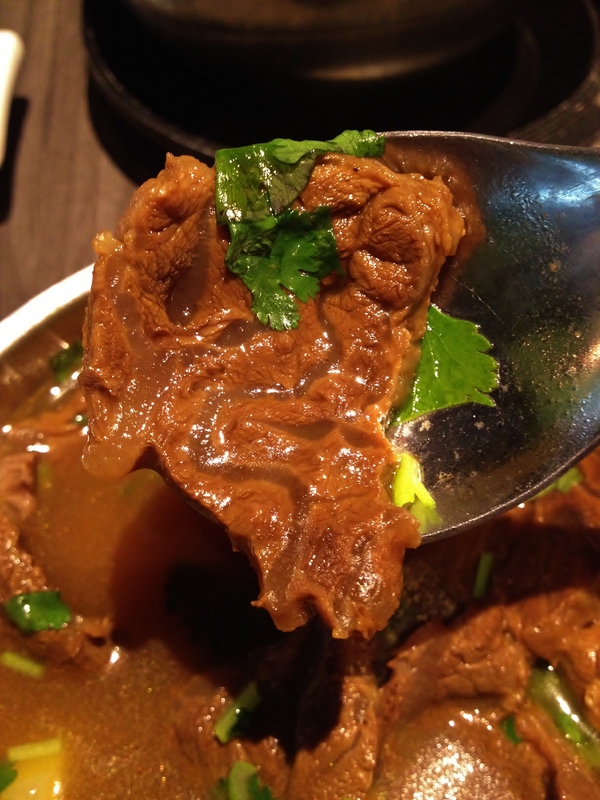 The spicy beef soup also got high marks, and I suggested it to him, and he said that it was one of the things he was looking at anyway! I ordered the kimchi, but we didn’t receive it, the only mark against our service. And honestly, I am totally ok with that, because we were so.incredibly.full. ERMIGERD. I started with the Vegetarian soup, sans noodles. 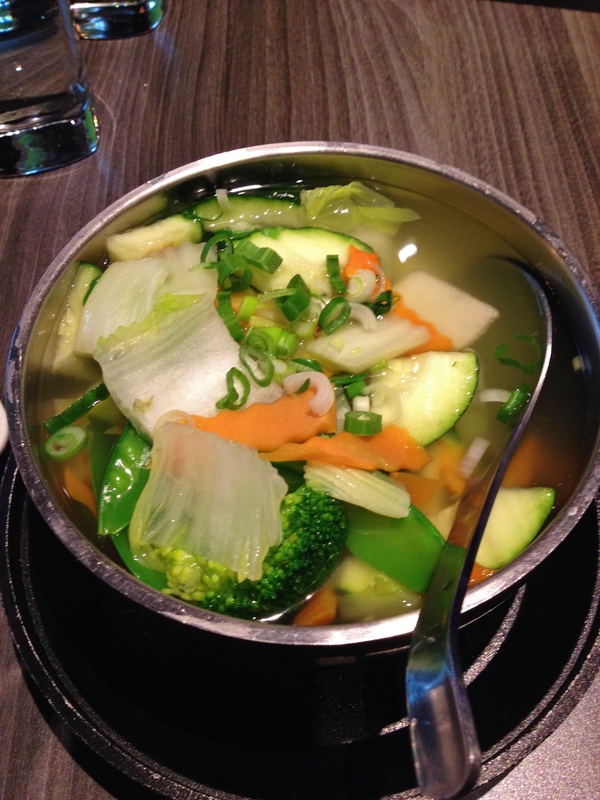 This was my dream soup, in many ways, especially for that night: fresh, steamed veggies (no tomato, for whatever reason), and a light, complementary broth that wasn’t overly salty or underseasoned. Would get it again in a heart beat. 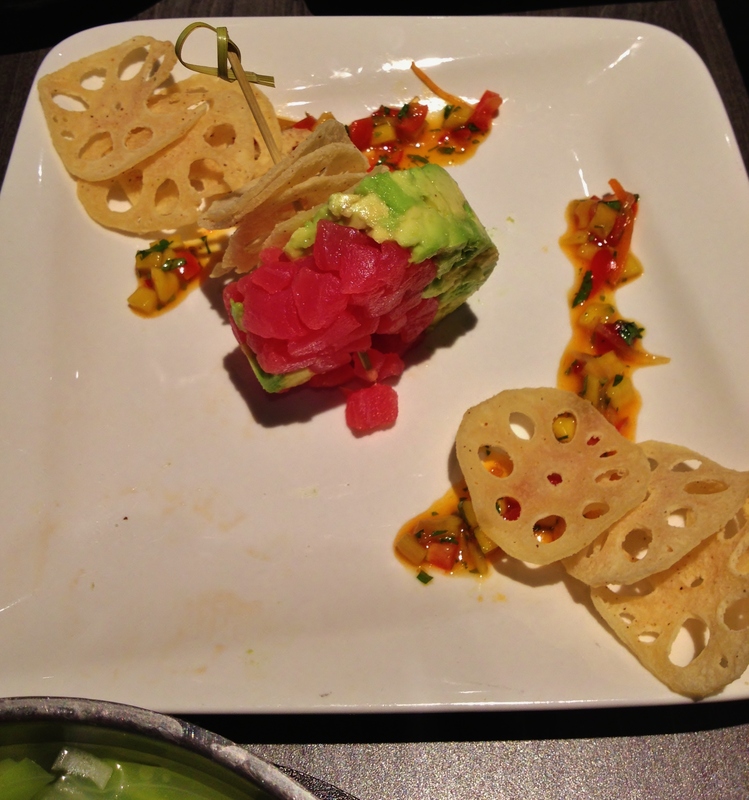 I loved the lotus root chips, particularly with the mango salsa. I wish there was more picked onion (because I love it), but the freshness of the tuna and the avocado sang with the other simple but fresh ingredients. 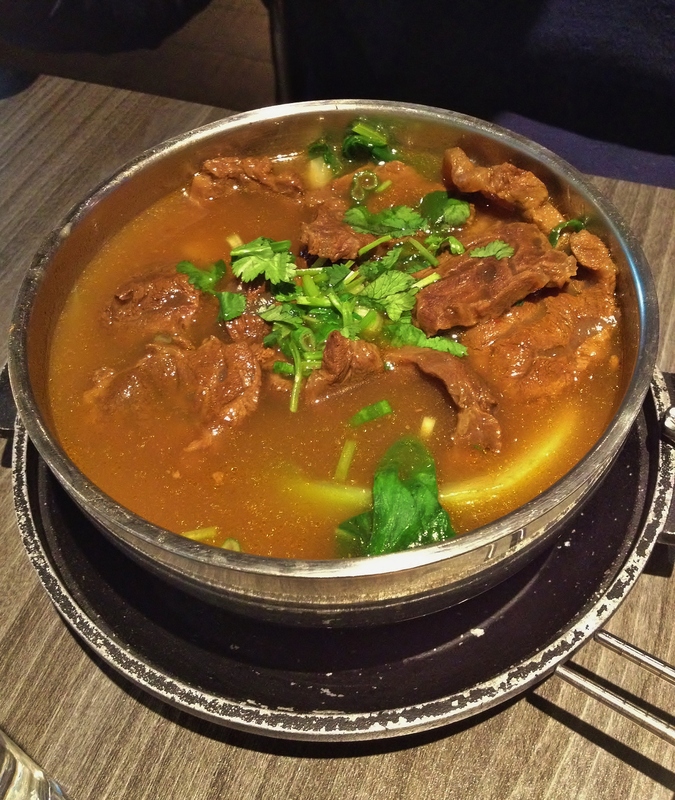 Tender beef with asian vegetables in a spicy broth. The broth of this was delicious, and I cleaned up Alex’s bok choy. The beef was super chewy, so Alex didn’t eat all of it, but the broth was delicious, and he was still full by the end. The beef was a little weird, but the taste was BOMB. CW from top left: Pork Belly Slider (Gua Bao), Taiwanese pork meatball (Ba-wan), shrimp dumpling, Fried spring roll with taro, Xiao-long-bao (stead soupy pork bun), pork and cabbage Siu Mai. Each bite was delicious and different, but all were united by a excellent play of sweet and savory and sour, with the undercurrent of umami. The shrimp dumplings were so simple, but with a bit of soy or the other sauces, just delicious. The spring roll skin was nice and crispy, with a great taro interior. I didn’t get to try the soup dumpling, but Alex really liked it. The Siu Mai was, to me, more of a meat ball than the bai wan, but either way, they were both super tasty. The gua bao bun was AWESOME (SOooooo FLUFFAAAY!) and the sweet peanuty glaze MADE it. I few bumps along the road (the weird beef, the changes in ingredients), but what I liked was the fact that they used what was best on hand, rather than giving us sub-par ingredients. I amy really excited to go back and try the lettuce wraps, the $12 lunch special, their Sashimi, and the Shabu-Shabu hot pot, which is like a Japanese fondue of sorts. They also apparently have fabulous sake and fresh juices! A great new restaurant for the nights when Alex has bball up there or we fancy a little bit of a walk! Have you had Taiwanese Dim Sum before? Are you a fan of dim sum? I am not the biggest fan–you know that I am not great with things I can not see, and high-fat dishes, but trying some of Alex’s was super fun.